Team USA may have started off slow in the 2018 Pyeongchang Winter Games, but the Americans finished strong with 23 medals, good for fourth in the world. 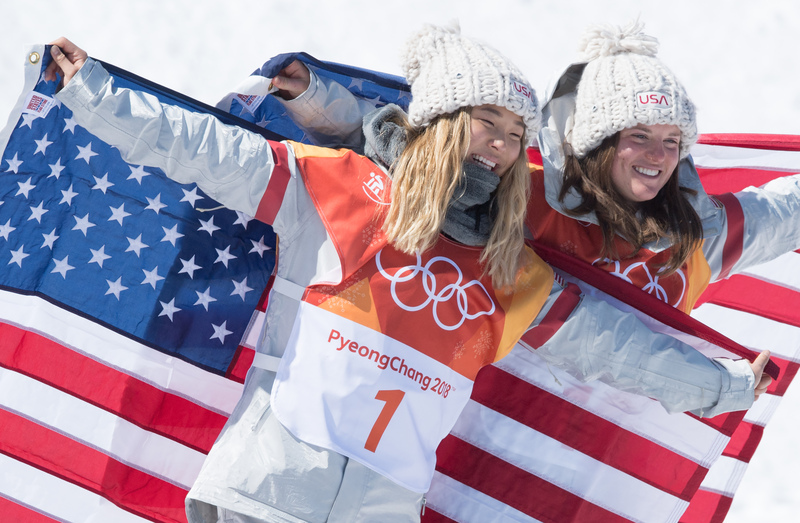 Four of the team’s nine gold medals came from the U.S snowboarding team. 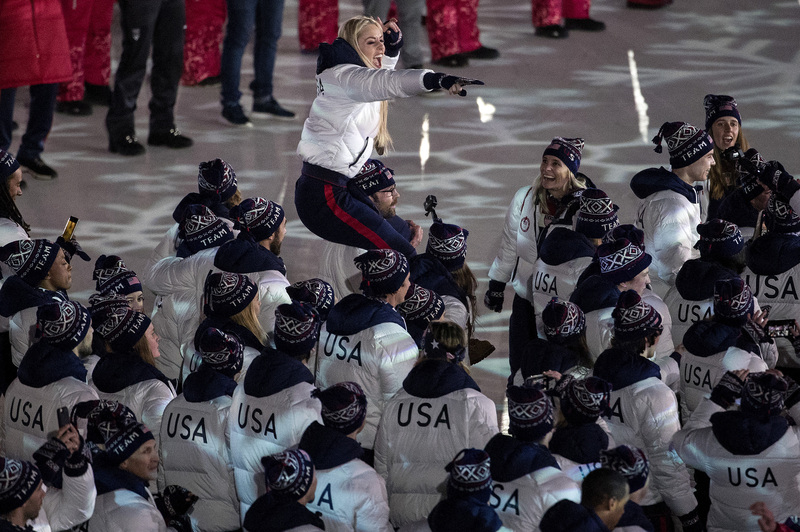 American Jamie Anderson defended her slopestyle gold from Sochi with another stellar performance on the hill, receiving a silver medal in the first ever Women’s Big Air event. Red Gerard, a 17-year-old Ohio native, did the impossible by defeating heavy favorite Canadian Mark McMorris and winning his first Olympic gold medal in the men’s slopestyle competition. 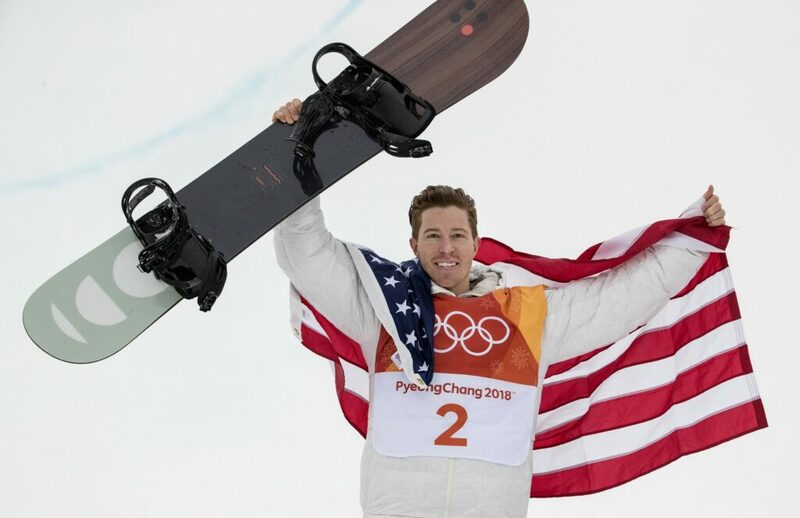 In what was most likely Shaun White’s last Olympics, the Southern California native dropped a 97.75 score on the last run of the men’s halfpipe, winning his third gold medal in the sport he pioneered. Mikaela Shiffrin won her second career gold medal, this one coming in the women’s giant slalom before also winning the silver medal in the ladies’ alpine combined. After skipping the Winter X games in January because of injury, David Wise won gold in the men’s ski halfpipe. Wise fell on both his first two runs because of a ski malfunction that kept falling off on landings. But the Reno native put it behind him and scored a 97.2 in his final run. For the first time in U.S curling history, the men’s team won gold. After round-robin play, the Americans put themselves in a tough spot having to win every remaining game. The U.S matched up against the Canadians, who have made the gold medal match every Olympics, in the semifinals. After defeating the team up north, the U.S came from behind beating the number one ranked team in the world the Sweden’s to win gold. The gold came off the backs of Americans John Shuster and Matt Hamilton, who formed their team out of players who had been previously rejected by USA Curling. 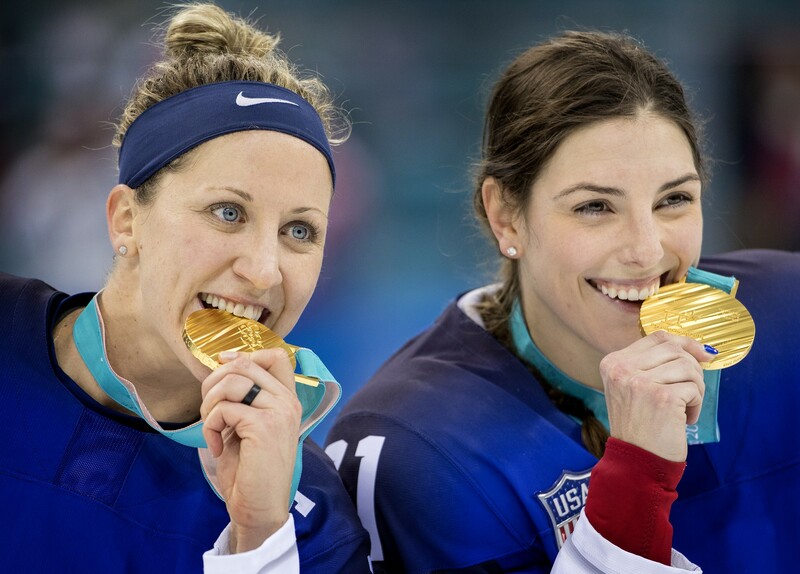 On the 38th anniversary of the Miracle on Ice, the U.S Women’s hockey team knocked off Canada for the first time since the 1998 Nagano games. 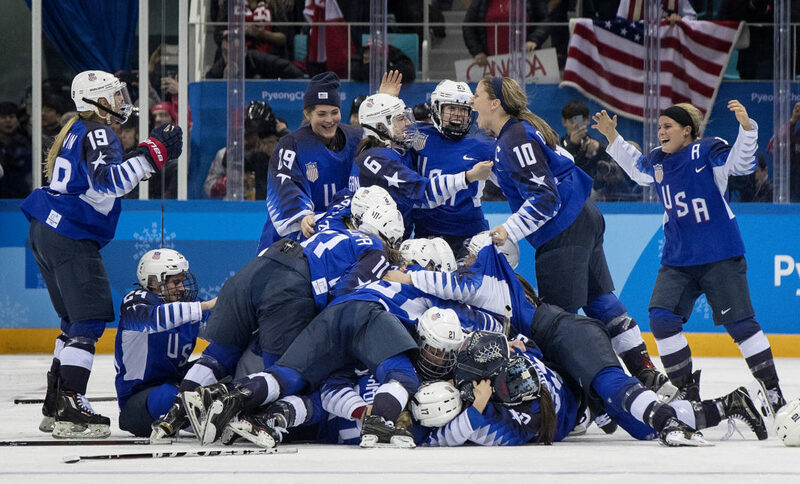 Thanks to a jaw dropping deke and goal from Jocelyne Lamoureux-Davidson, Team USA had the edge in the final shot from Canada during the shootout stopped by 20-year-old goalie Maddie Rooney. Kikkan Randal and Jessie Diggins also did the unimaginable in the women’s team sprint when Diggins flung her left ski past the finish line, winning the United State’s first ever Olympic gold medal in cross country. In what was Lindsey Vonn’s last olympic games, the Colorado native placed bronze in the women’s downhill before announcing her retirement from the sport. In the men’s luge event, American Chris Mazder won the first ever medal for Team USA in the event, taking home silver. The 2018 Games featured a cavalcade of firsts: the Nigerian’s sent their first ever Winter Olympic team to Pyeongchang, competing in the women’s bobsled, the Jamaicans also sent their first ever women’s bobsled team to the games, and the North and South Koreans unified for a hockey team that failed to medal in the games.